Idris Elba says Taylor Swift was "amazing" to work with on the set of 'Cats'. The 46-year-old actor insists that Taylor, 29, was simply "great" whilst they were filming the live-action adaptation of Andrew Lloyd Webber's iconic stage musical, which also stars the likes of James Corden, Rebel Wilson, Dame Judi Dench and Jennifer Hudson, and says the pop superstar was "just happy to be there" with her co-stars. Speaking to Variety, the 'Luther' star said: "Taylor was great, her and I had a lot of work to do together, and she was amazing. She worked hard and was just happy to be there." 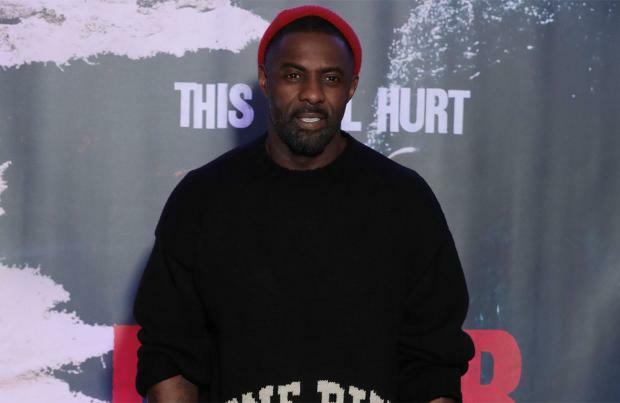 Idris plays villainous cat Macavity, while the 'Blank Space' singer will play the flirty feline Bombalurina in the film, and although appearing in a musical was "new territory" for the British actor he enjoyed the challenge. He said: "It was all really new to me, but I know the songs, of course, so I was sort of in new territory, but it was really liberating. It was so much fun playing that big Macavity character." Idris has always been fulsome in his praise for Taylor, whom he has known for a few years and considers a wonderful artist and person. He previously said: "Taylor and I have known each other for a couple of years and we're cool you know. She's a good girl; she's a great artist and she's got a really great heart. "Not only is she a musician but she's an actress as well. I'm an actor, she's got chops. She holds her own."